Rendang is prepared by boiling the beef, lamb or chicken with spices (such as garlic, ginger, turmeric and many more) and coconut milk. Rendang is traditionally served during Hari Raya Aidilfitri or a tribute for important guests. But now, you can have it at any time of the day when you want it. To taste the best Rendang, you should head to Kampong Glam (Sabar Menanti) and Orchard Road (Rice Table and Garuda Padang). 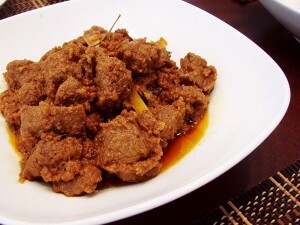 You can also find Rendang in numerous Indonesian restaurants. Otak Otak is a Malay dish. The texture is soft and squishy. 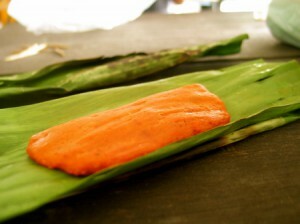 There are numerous variations of Otak Otak-crab, fish and prawns. Otak Otak is best if it is paired with other local dishes like Nasi Lemak and Laksa. It is readily available if you want to taste it. Food centres have stalls that readily sell Otak Otak. 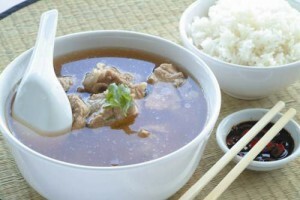 Bak Kut Teh is made of pork ribs boiled in broth (of spices and herbs). It is served with vegetables, bean curds, rice, noodles and many more. There are two variations that you can choose from-Cantonese and Hokkien style. To taste the best Bak Kut Teh, you should head to Balestier Rd, Joo Chiat Rd and Rangoon Rd. After binge eating, you would want to walk around to at least burn all the calories you gained. You can choose to window shop or buy some items if you like. You can head to Kampong Glam, Chinatown and Little India for the best shopping experience. Aside from a happy tummy, you will go home with a happy heart.